Fri Sep 5 @ 6pm through Sat Sep 6: This web site will be down during a scheduled a/c outage. Explanation: In search of planets and the summer Milky Way, astronomer Tunç Tezel took an evening road trip. 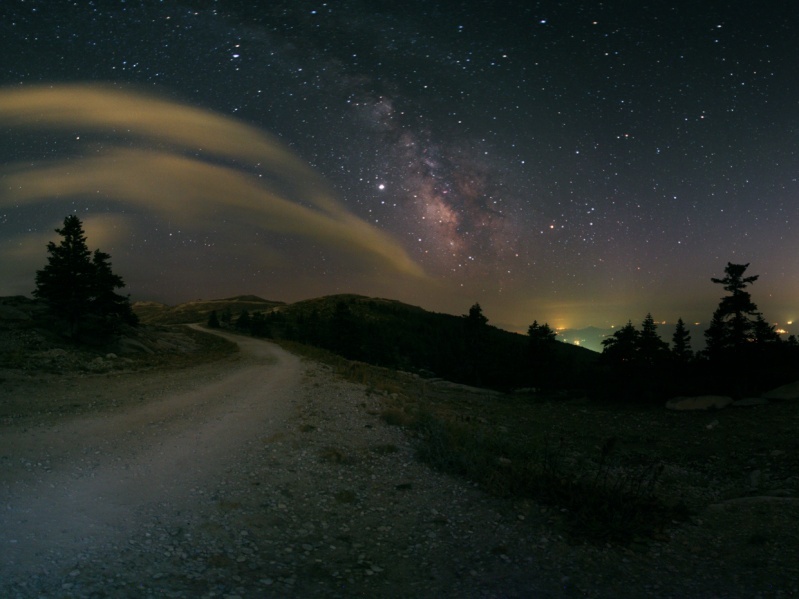 Last Saturday, after driving the winding road up Uludag, a mountain near Bursa, Turkey, he was rewarded by this beautiful skyview to the south. Near the center, bright planet Jupiter outshines the city lights below and the stars of the constellation Sagittarius. 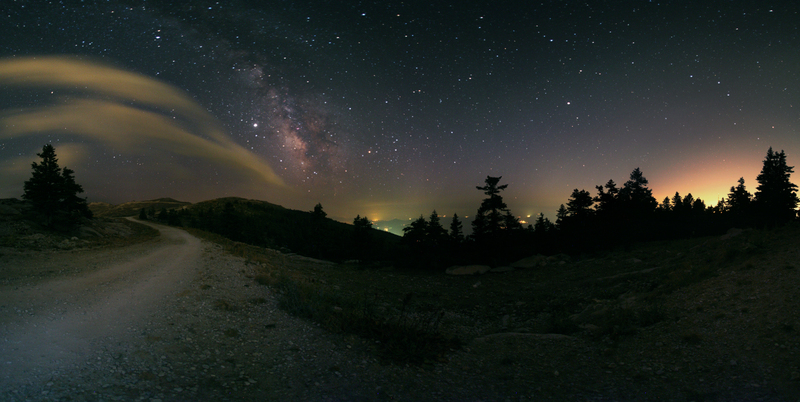 Above the mountain peaks, an arcing cloud bank seems to lead to the Milky Way's own cloudy apparition plunging into the distant horizon. In Turkish, Uludag means Great Mountain. Uludag was known in ancient times as the Mysian Olympus.